Last night, we came home from a family outing to find our home ablaze. We are tremendously thankful that nobody was hurt, and all that we lost were our belongings and a place to live! 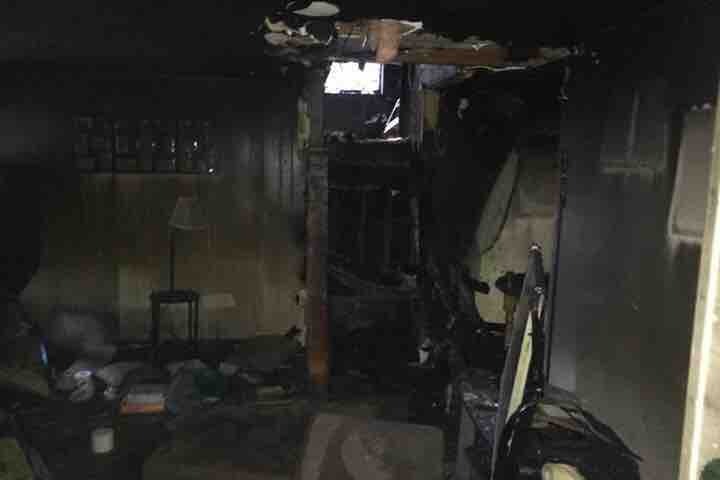 According to the fire marshall, the fire was sparked by faulty wiring under the stairs leading to our daughter's room, which was completely engulfed. The fire spread very quickly, and if we had been home and asleep, we could have lost a child. We have only lived here for three months- just long enough to move everything we own into the house to be burned or destroyed by smoke. We have a 6 year old daughter Lilly, a 6 year old son Gage, an 11 month old baby boy, Kyle, no renter's insurance (lesson learned) and no savings to speak of. We have family nearby, and that's a blessing, but they can only do so much. We are grateful for any amount that anyone can donate. Obviously, we need to find new housing as soon as possible (3 bedrooms in or near Eugene), and purchase new clothes, furniture, tools, and eventually basically everything from kitchen supplies to baby toys to school supplies... It's a long list. Please help us rebuild our lives, and thank you for sharing! Aiden, Kayla, Lilly, Gage, and Kyle. Just want to thank everyone who helped us out when our house burned down. It helped us into a new place tremendously and though we dont have alot of possessions and Christmas was a definite struggle, we have eachother and a roof over our heads thanks to all of you! I never thought we would raise 2,000 dollars. I am so thankful to all of you! You have helped my family so much and I will always remember this time not for the terrible hardship it caused, but for the compassion and generosity we were shown by others. THANK YOU SO VERY MUCH!!! We are so greatful for all of the kind people who have donated and sent us well wishes. It will help us with restarting our lives tremendously and has made me very proud of my community and fellow humans! We are still in search of housing if anybody has a 3bedroom for 1,400 or less in the Eugene area.